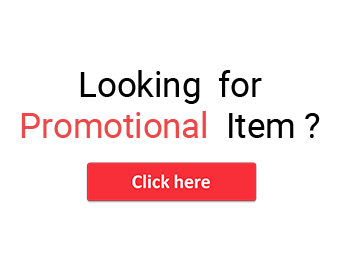 The use of promotional products has been used largely by most of the marketers in the present years to advertise their brand and attract more customers, because the brand name imprinted products have more advantages to surpass the competitors. Moreover the promotional products can also act as the best corporate gifts to your employees and clients for boosting their morale. The world is emphatically a global marketplace and hence any company or marketer who want to maintain their status in this competitive world must amalgamate both price and quality to survive the competition. In the recent years, outsourcing from China has become very famous among the marketers all over the world for almost every product. Because starting a new venture may seem to be costly for the companies, so they prefer to reduce their cost, high quality, more production etc. by outsourcing their production to countries like China. ● Cheap Labor cost- Labors are one of the biggest cost of any company So, outsourcing labor to China will give you access to that factory’s skilled labor without having to train the employees and your staffing becomes much more flexible when it is outsourced. ● Low Manufacturing cost- China makes affordable overseas manufacturing ideal for the common business with low manufacturing cost which is desired by most of the organizations. ● High production ability- China has been providing goods to the global markets since past years and have scaled their manufacturing abilities beyond what was ever possible and that too in massive supply. ● Premium quality products-The manufacturing products outsourced from China have surpassed the myth of cheap quality and when the finest quality products are sold out to the customers they receive a high level of satisfaction hence resulting in high productivity for the retail and wholesale marketers. ● Production within deadline- The Chinese manufacturers are capable of producing large orders desired by the wholesaler and they won’t receive any kind of complaints from the Chinese manufacturer because they always complete the task before and within time.